The love songs that touched the soul of many generations created the everlasting vitality of Ngo Thuy Mien’s music from the mid-60s even until today. It seems like he had spent his whole life writing songs that celebrate love. 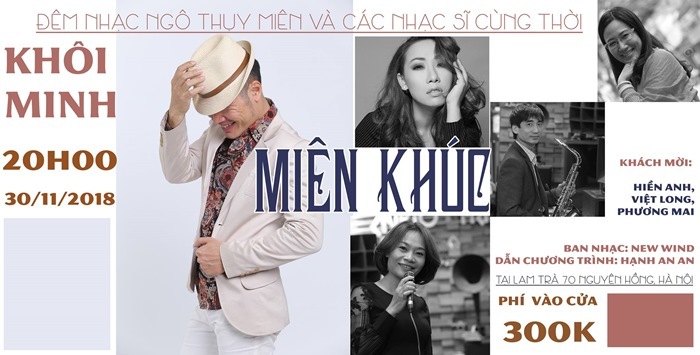 Ngo Thuy Mien’s music is full of romance and passion despite being amidst pain and sorrow. These melodies touch lovers’ souls, and at the same time, understand their lost and separation. Entrance fee: 300,000 VND. Book your tickets early for special offers: 0947.376.689. Concert "Old is New, New is Old"